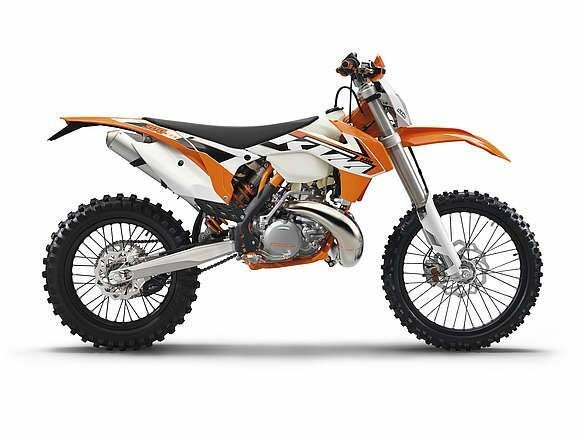 2015 Ktm 300 XC-W, In Stock - The 300 XC-W has clearly proven what it can do in many offroad competitions. The combination of massive 2-stroke performance, unrivaled torque and a super agile chassis make it the first choice when the going gets really difficult. There is no better power-to-weight ratio on the market in a standard bike. The compact 2-stroke engine offers the strongest performance money can currently buy. A perfectly tuned exhaust control ensures a manageable power delivery, while the 6-speed gear box, specially geared for enduros, has always the right gear ratio on offer. With its enhanced cylinder head and new reed valve, the new 300 XC-W is better than ever. All KTM pictures are kind of KTM HD motorcycles picture was taken, including motor fuel gauge, engine, engine mounts, tires, fuel tank, the car handles, lights and so on, 2015 KTM 300 XC-W full-screen viewing,2015 KTM Motorcycles today Price: $8,599 .